​Personal Injury (Injured Party) - If you have been injured and it was someone else's fault, you are likely entitled to monetary compensation to offset your medical expenses, pain, suffering, lost wages, loss of future earning potential, and more. Regent Law can help you determine how much money you are entitled to receive and your chances of persuading a judge to order that money be paid to you. From there, we can help you negotiate with the at-fault person or business in order to avoid the lengthy court process. If they are not willing to negotiate an appropriate settlement, we can apply our skills and training to persuade the Court that you are legally entitled to a monetary award. Personal Injury (Defending Party) - Sometimes people who are injured end up blaming the wrong person or business for their injuries. If you did everything you could reasonably be expected to do to prevent injury, you are likely not required to compensate someone who has been injured. 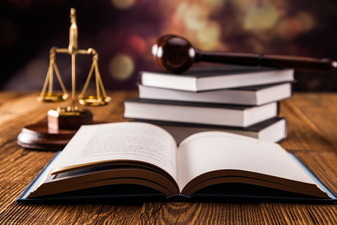 Regent Law can explain to you what the Court considers "reasonable" in a particular situation and walk you through a risk analysis to determine if the best course of action is settling the claim or fighting it in court. Whichever path you choose, we can effectively represent your interests.